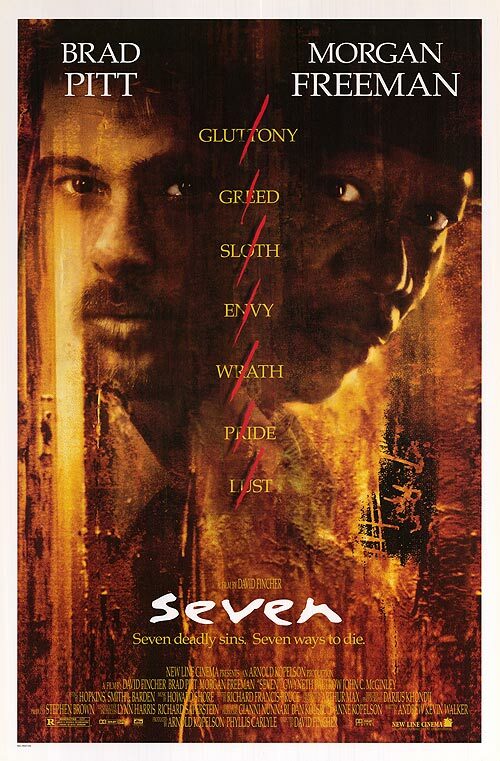 I had forgotten the visually stunning “Seven” (1995) until I watched it again on the American Movie Classics (AMC) channel. The film’s stars are Brad Pitt, Morgan Freeman, and Kevin Spacey. The psychological thriller combines the genres of horror and film noir. The story-line focuses on a serial killer who murders based on the seven deadly sins of early Christian origin, which later evolved with Catholic theology and culture: wrath, greed, sloth, pride, lust, envy, and gluttony. Galatians 5:19-20a (King James Version, KJV) comes closest to the list of seven: “Now the works of the flesh are obvious: sexual immorality, moral impurity, promiscuity, idolatry, sorcery, hatreds, strife, jealousy, outbursts of anger.” I often go back to the KJV for the poetry of it.